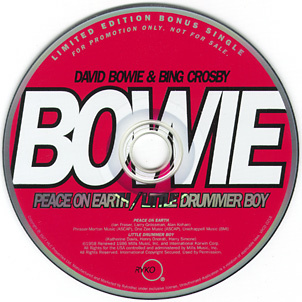 Promo-only single for The Singles 1969-1993, the first 40.000 pressings of which came with a bonus CD-single containing this track. 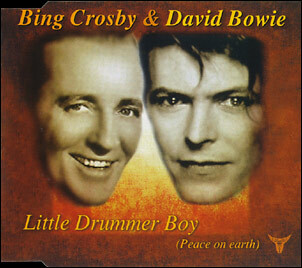 Peace On Earth/Little Drummer Boy/Peace On Earth/Little Drummer Boy (video). Multimedia CD-single. Reissued in 1998 (green disc vs original red disc) and 2003 (blue disc) as technology changed and the video couldn't be played on the latest PCs. Peace On Earth/Little Drummer Boy/Hallo Snowman (by Bogdan)/Ships Are Sailing (by Ballycotton)/When An Indian Dies (by Bogdan). A rather suspicious CD-single that more likely should be listed under Pirates.